The BSFrance Lora32u4 II (Lora32U4II for helping Google out) board is an Atmega32U4 processor with a HDP13 Lora transceiver on the same board. As far as I’m aware, the HDP13 is similar to the RFM95W (including pinout), and in my case it seems it has an original Semtech SX1276 (868Mhz radio transceiver) chip installed on the HDP13 module. The board hardware includes beside the Lora HDP13 module a LiPo connector with an 2 pin JST PH 2.0mm pin spacing connector and the power supporting electronics. There are two leds: one orange LED for LiPo and charger status, that blinks very fast when no LiPo is connected, and a very bright white led that fades in and out when the bootloader is in the programming mode or programming is ongoing. After the bootloader exits and starts the main program, the led shuts off. 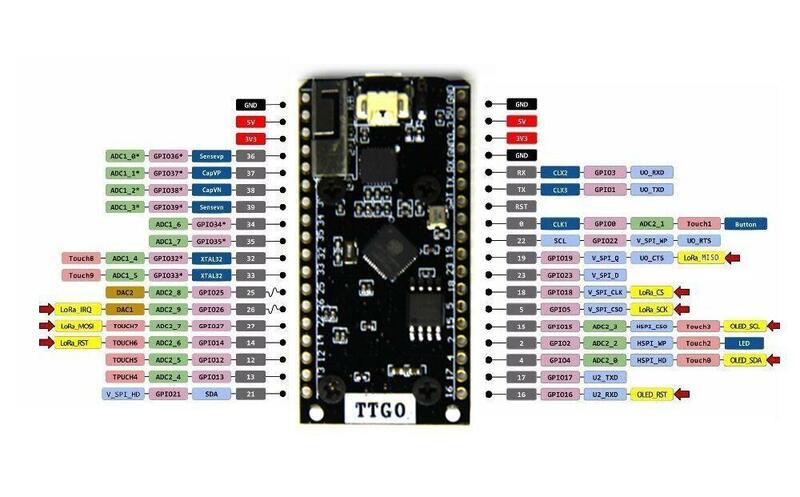 This led, as usual in Arduino boards, is connected to I/O pin 13, so it is software controllable. Also the only way to power up the board is either trough the USB port, LiPo battery or 5V to an input pin. No other voltages, like RAW voltages above 5V are supported. As a final note, the board that I’ve bought also came with an uFL adapter cable for SMA, an antenna and a link for accessing documentation, so, excluding the LiPo battery, the complete kit. I’m testing the board to send data to the Things Network and doing so by using PlatformioIO as the developing IDE. Platformio IDE is much better than the Arduino IDE, since each project has it’s own depending libraries directory .piolibdeps which we can modify and edit the library code without breaking other projects. 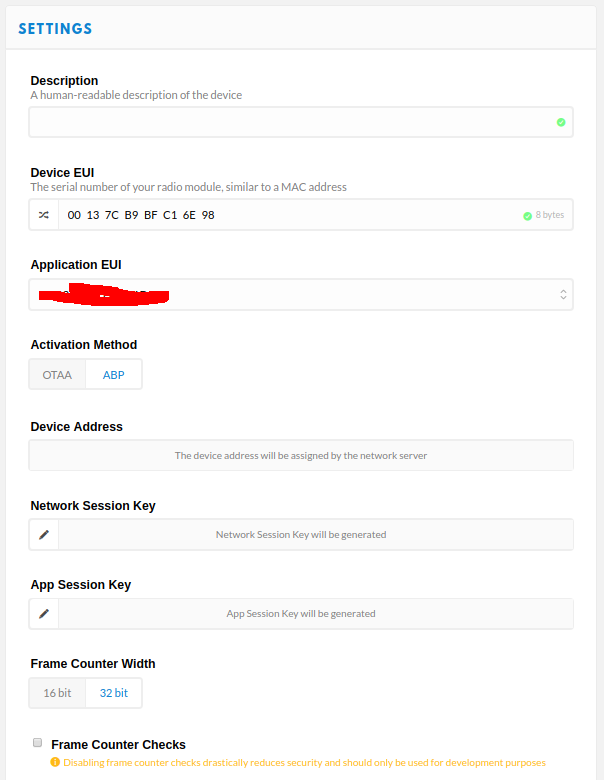 As the code to send data to the TTN network, I’ve just used ABP lorawan device connection that I’ve used on my previous hand build node. 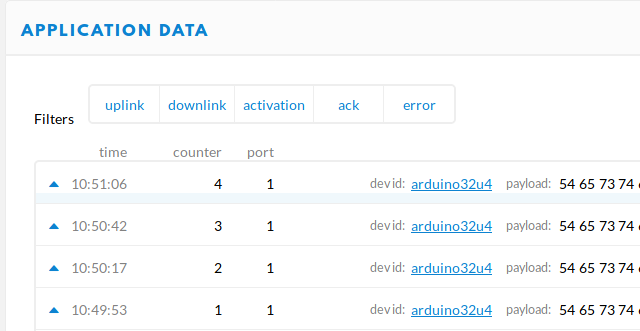 I’m testing the node with both the IBM LMIC Library (ID: 852) and the Arduino LMIC Library (ID: 1729). Regarding Pin 6, is the chosen pin to connect to the DIO1 pin. This pin signals receive timeouts generated by the radio module. 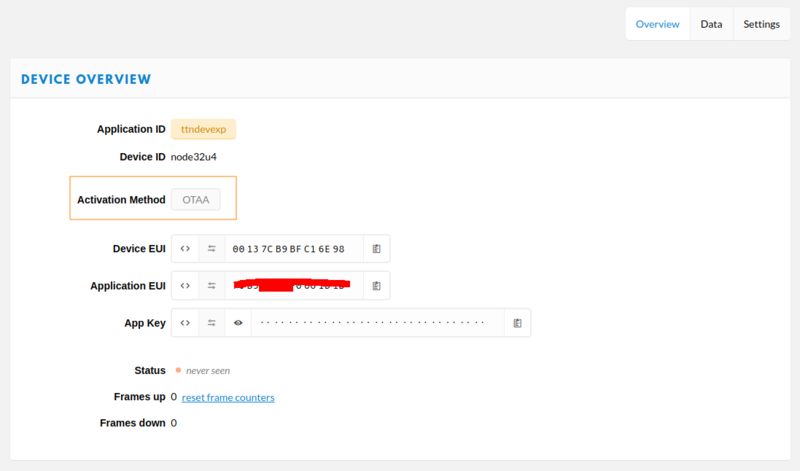 The connection of this pin is required for LMIC and for the onEvent() function signaling of EV_TXCOMPLETE to be triggered/fired, otherwise the onEvent() funciton is never called. Since this is a LoraWan Class A node, after the transmission, two receive windows are opened for any downlink data that might be sent to the node. The DIO1 pin signals the receive timeout, and at the end of the receive windows, triggers the EV_TXCOMPLETE event. I’ve tried to use other pins, for example, pin 3, but then the EV_TXCOMPLETE event was never fired… Strange. Anyway, with the above configuration and with DIO1 connected through a wire bridge to pin 6 works fine. The line hal.cpp:24 point to an ASSERT that doesn’t allow a LMIC_UNUSED_PIN for DIO1. 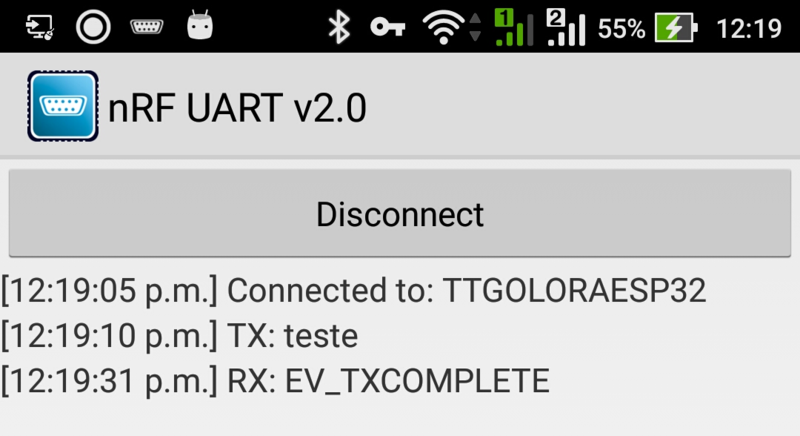 As we can see the EV_TXCOMPLETE event is never fired, and the associated reschedule of another transmission never happens, since the code that triggers the next transmission is inside the code for the EV_TXCOMPLETE event. The only way, in this case, to exit this situation is to reset the board so another transmission can happen. 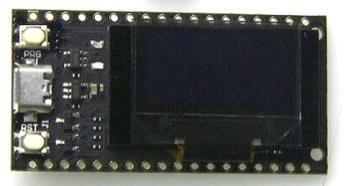 The ATMega 32U4 USB serial port is a bit fiddly when using it from the Arduino framework. At reset or connection first the USB port is used by the bootloader (white led fading in and out). After a while the board starts to execute the flash program (white led off), but it resets the USB port. The host computer might have an issue with this and fails to assign an USB address. delay(2500);   // Give time to the ATMega32u4 port to wake up and be recognized by the OS. This one is quite simple to explain, since minicom survives to the USB port resets since they appear and disappear through the board reset. Against it, is that we need to explicitly exit minicom to be able to program the board. This is solved now. Lib 852 is now updated. The Arduino LMIC version (1729) on the PlatformIO is outdated, since, for example doesn’t have neither the LMIC_UNUSED_PIN definition and the LMIC_setClockError function needed for a successful OTAA TTN network join. The solution is just clone the Arduino LMIC library and copy the src folder to .piolibdeps/IBM LMIC framework_ID852/ removing the original src folder version. So we get, with this last change, and while keeping support for OTTA, at least 8K/9K for program space not related to the Lorawan/TTN code support.